BOLD 3PL offers third-party logistics providers (3PLs) unprecedented value by eliminating data fees. Companies of all sizes outsource warehousing and transportation of products to 3PLs. 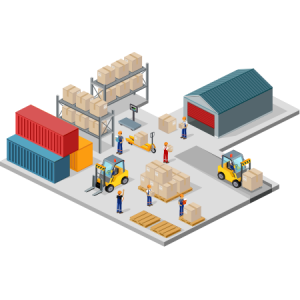 3PLs transmit massive amounts of EDI data specializing in product inventory and storage, order fulfillment, and arranging transportation of goods. All tasks reliant on electronic data interchange (EDI). No Fees for EDI Data – There is never a charge for the amount of data you move on our VAN. BOLD 3PL operates on a trading partner pricing model. This means you are billed for the number of trading partners you exchange EDI data with. Never for the amount of data. Superior EDI Platform Performance With Affordability – BOLD 3PL utilizes a feature-rich, world-class EDI network with uptimes greater than 99.998%. 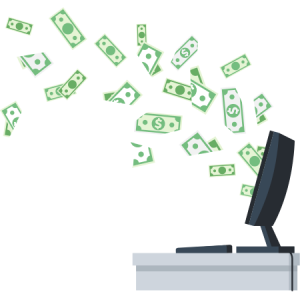 Enjoy a predictable EDI expense without sacrificing speed. Seamless Migration Included – No need to change your IDs or contact your trading partners. BOLD VAN will onboard all trading partners through a process transparent to you and your trading partners. Migration is fast and simple and will not affect business. Accessible and Manageable EDI Data – Retrieve and manage your EDI data for up to 90 days. You no longer have to hassle trading partners for missing invoices or purchase orders resulting in quicker cash-to-cash cycle. Electronic data interchange came to be because of the logistics industry more than 60 years ago. Now, more than ever, EDI is vital to logistics, especially 3PLs. 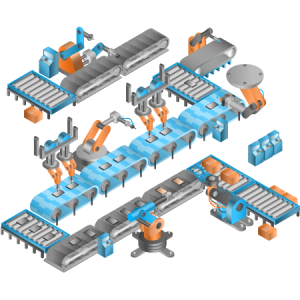 Automated order management and fulfillment reduce errors while minimizing manpower. BOLD 3PL enables you to see orders being processed at all stages of fulfillment in real-time. Also, see issued invoices and shipping communications as they come in through our intuitive web portal, BOLD Manager. Effortless and automated order fulfillment and invoicing removes costly bottlenecks giving you a competitive advantage. BOLD Manager for 3PL gives you immediate access to respond to changing customer needs in an industry moving at a rapid pace. EDI communications specific to your trading partners’ business systems eliminates processing errors and guarantees compliance. Accessing all EDI data without having to request documents from trading partners leads to swift resolution when issues arise. You can access transaction data by SCAC, PO number, shipment number, and by trading partner. Easy accessibility optimizes your cash flow. THERE’S NO TASK TOO LARGE FOR BOLD VAN.